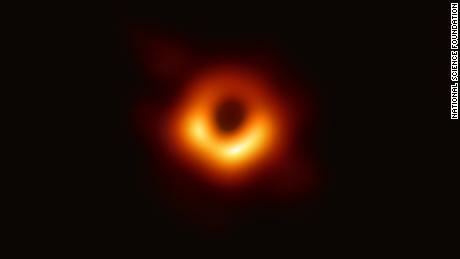 (CNN)This week, scientists shared the very first photo of a supermassive black hole, and the much-anticipated final results of NASA’s Twins Study researching longterm spaceflight’s effect on the human body were released. And that’s not all. 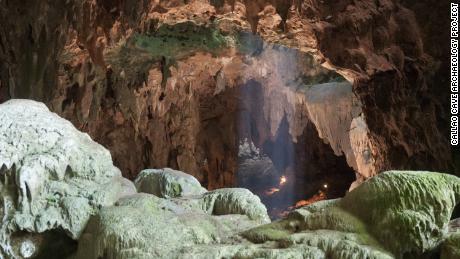 The fossils of a previously unknown human relative were discovered in a cave. Scientists found an exoplanet and considered how life might thrive on other exoplanets. Declassified U2 spy plane images revealed archeological features lost to time.And unfortunately, a mission to the moon ended by crashing into it.Here’s everything you might have missed this week in the world of space and science news.Einstein was right (again)Read MoreOn Wednesday, the world was introduced to the first photo of a black hole. And then a million memes erupted, tagging such phenomena as the eye of Sauron from “Lord of the Rings” and suggesting cats as the real cause. The supermassive black hole resides at the center of the galaxy M87, 55 million light-years from us. It’s now been named Powehi, a Hawaiian phrase referring to an “embellished dark source of unending creation.”Scientists used a global network of eight telescopes called the Event Horizon Telescope Collaboration that effectively created an Earth-size telescope. In the image, a central dark region is encapsulated by a ring of light that looks brighter on one side. 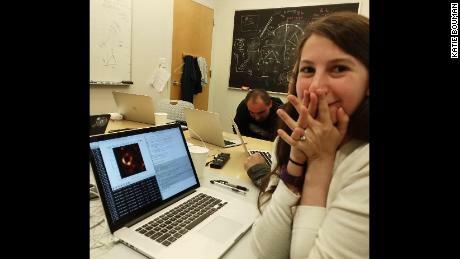 The first direct visual evidence of a supermassive black hole.It acts as confirmation of Albert Einstein’s theory of general relativity.And then the world was introduced to the smiling face of Katie Bouman. The monumental effort of capturing this image and sharing it with the world wouldn’t have been possible without Bouman, who developed a crucial algorithm that helped devise imaging methods. Katie Bouman and the image she helped make possible.MIT’s Computer Science and Artificial Intelligence Lab compared a photo of Bouman among stacks of hard drives to a famous 1969 photo of computer scientist Margaret Hamilton standing next to the thousands of sheets of code she and her team wrote for the Apollo Project. — MIT CSAIL (@MIT_CSAIL) April 10, 2019 After great triumph comes failureThe first privately funded mission to the moon, Israel’s Beresheet spacecraft, was attempting to perform a soft landing on the moon when it crashed Thursday. 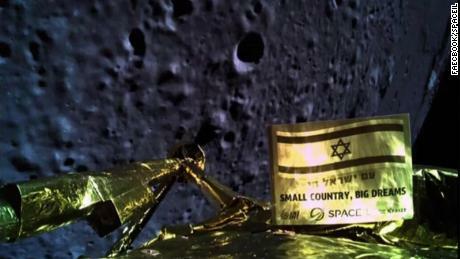 Israeli spacecraft crashes in final moments before moon landing“I am sorry to say that our spacecraft did not make it in one piece to the moon,” said Opher Doron, the manager of Israel Aerospace Industries’ Space Division. “We made it all the way to the moon. This is a great accomplishment. We are the seventh country to make it all the way to the moon.”The mission launched in February with great fanfare. The failure is believed to be due to a communication issue.What happens when you spend a year in space?In case you were wondering, a lot. 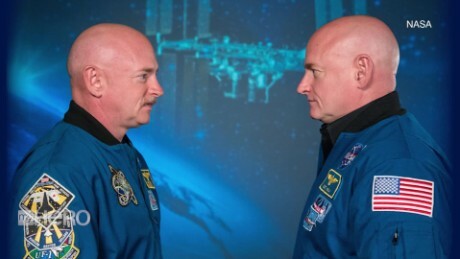 Spending 340 days aboard the International Space Station between 2015 and 2016 caused changes in astronaut Scott Kelly’s body, from his weight down to his genes, according to the results of the NASA Twins Study, released Thursday.The majority of changes in Kelly’s body, compared with his identical brother, Mark, on Earth, returned to normal once he came back from the space station. The study results suggest that human health can be “mostly sustained” for a year in space, the researchers said.But the much-anticipated study reveals areas that may require countermeasures or safeguards when preparing for longer space missions or missions to deep space, like Mars. Human health can be 'mostly sustained' for a year in space, NASA Twins Study concludesA year in space caused Scott’s carotid artery to thicken, damage to his DNA, changes in gene expression, a thickening of the retina, shifts in gut microbes, reduced cognitive abilities and a structural change at the ends of chromosomes, called telomeres. But it did not alter or mutate his DNA.Getting a flu shot in space also worked exactly as it did on Earth. Nutrition and exercise on the station caused weight loss and an increase in folic acid that caused the vital production of red blood cells.The findings have health implications not only for astronauts who may endure longterm missions to Mars and elsewhere but for those of us here on Earth who aren’t considering going off-planet. Cancer patients also undergo genetic changes and radiation exposure. This study shows how a healthy body responds and adapts to stress, which could separate out how the body responds to other stressors, cancer or infections. Meet Homo luzonensisTogether, 13 bones found in Callao Cave in the Philippines represent our only knowledge of a newly discovered species related to humans called Homo luzonensis. The fossils belonged to two adults and one child who lived between 50,000 and 67,000 years ago.This time frame means luzonensis would have lived at the same time as Neanderthals, Denisovans, Homo sapiens and the small-bodied Homo floresiensis. Like other extinct hominins, luzonensis is more of a close relative than a direct ancestor. A mysterious species related to humans has been discoveredNo DNA was extracted from the hand and foot bones or teeth, but the fossils contain an intriguing mix of archaic and progressive traits that can be traced to Homo sapiens as well as Australopithecus afarensis. Australopithecus lived between 2.9 million and 3.9 million years ago.More research is on the horizon, and then we may have a better idea of what they looked like and how they lived. 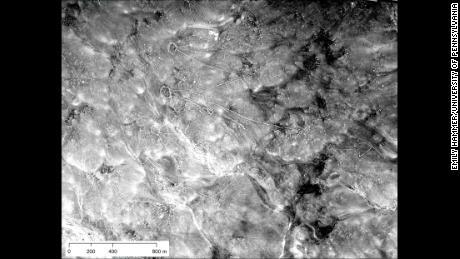 Spy planes: The new archaeological toolTime, weather and human interference tend to erase important markers of the past. But enterprising scientists were able to get their hands on images captured by U2 spy planes that are now declassified and public. In the 1950s and ’60s, the planes flew over the Middle East, Europe and parts of Asia to take photos of military targets. But the cameras kept taking photos in between targets, recording desert, fields and villages.Researchers went through thousands of frames. What they found were archaeological features that can no longer be seen, including prehistoric hunting traps, 3,000-year-old canals and 60-year-old marsh villages that disappeared when they were drained. The hunting traps, called desert kites, were stone structures between 5,000 to 8,000 years old that trapped gazelles and other animals. CNN’s AJ Willingham, Michelle Lou and Saeed Ahmed contributed to this report.